All you need is love and a hammock. When it comes to buying gifts for your significant other, or really for anyone you love, the Trek Light Gear team is here to give you a little piece of advice: Experience gifts are the best gifts to give and receive. Whether it's a weekend trip to an Airbnb, a cooking class, a sunset boat ride, or a surprise party with all your friends - experiences are the things that we remember long after most gifts are used up or put away. But what if you could give a gift that goes even further - the gift of not just a single experience, but endless experiences down the road? A hammock is that gift that keeps on giving, and it opens doors for a lifetime of amazing experiences to spend together. Hammocks encourage exploration, relaxation, and endless hammock dates to come. 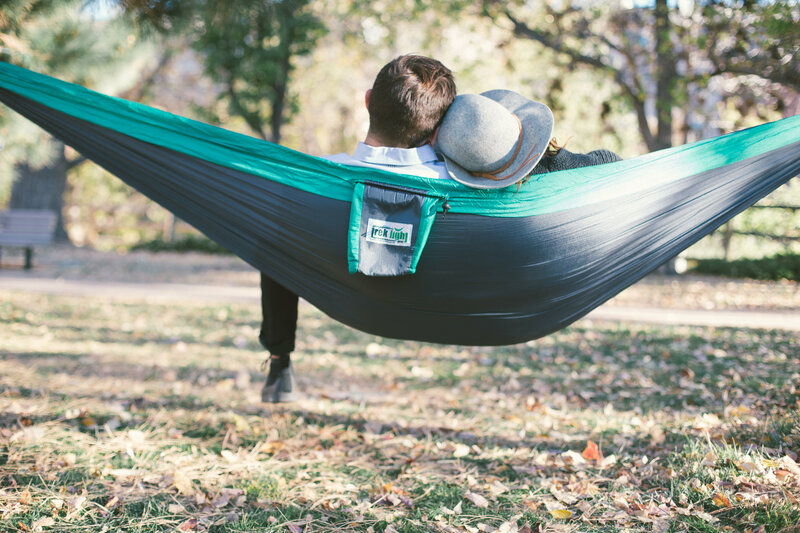 Whether it be Valentine's Day, a big anniversary, or a birthday, the gift of a hammock will surely make your other-half feel loved and excited to test out your new favorite way to spend time together. There's no reason to have to search around trying to find a perfectly flat, soft piece of ground to set up your next picnic. Find a nice set of trees, bring a speaker, pack some beer or wine and a cheese plate, and you’ve got an elevated picnic experience! Pro-Tip: Make your picnic even more magical with the Under The Stars Candle. Have trouble finding time for a date night or just short on funds? Don’t fret! You won’t have to travel far to spend quality time with your significant other. Just set up a hammock haven in your backyard and you’ve got yourself a new favorite spot for reading books, spending time together, and de-stressing after work. Pro-Tip: If you lack the trees for your blissful backyard spot, no worries, Trek Light Gear has you covered with a portable hammock stand. Lighten your camping packing list significantly and pack your hammock as your new under-the-stars deluxe bed. Experience camping and nature in an entirely new way with hammock camping! Pro-Tip: A camping date isn't for everyone, which makes this a perfect way to determine if your significant other is the right one for you! Who needs a car? Bring your laptop or tablet anywhere and cuddle outdoors next to your favorite movie or binge-watch the latest NetFlix show while enjoying the fresh air. The best part about owning a lightweight hammock is that you feel the need to take it places. 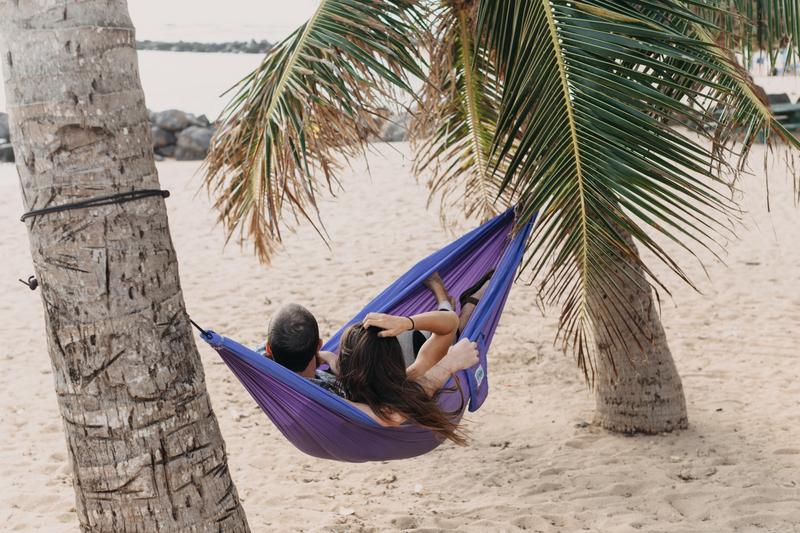 The gift of a hammock may be the push you both need to finally take that beach vacation! Being surrounded by palm trees is always nice, but it's even better when you're relaxed in a hammock between them. Sometimes the best place to bring your hammock is nowhere in particular. Explore your hometown and find the best places to hang out together. A hammock is the new park bench. 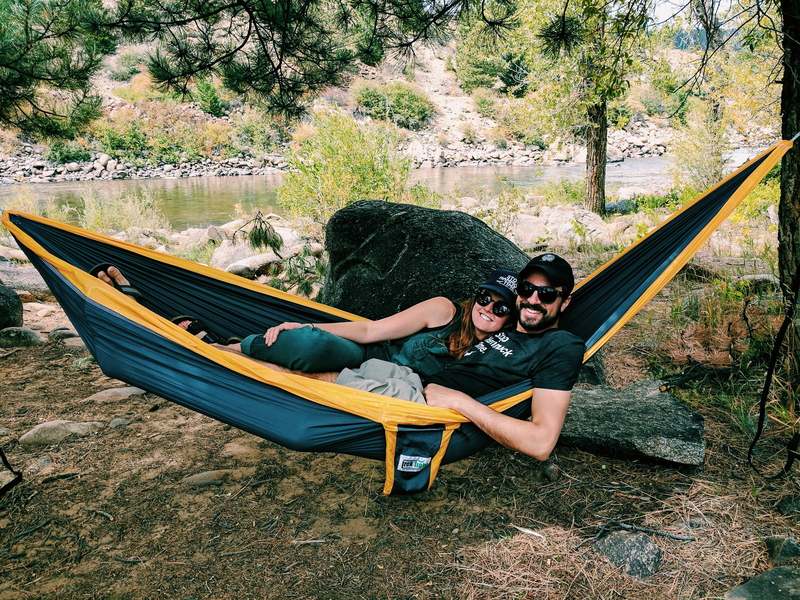 Hammocking is a lifestyle that requires (and creates) adventurous couples! Pro-Tip: Keep a Bindle Daypack in your car packed with your hammock and some other goodies and you'll always be ready for a spontaneous hammock hang. Whether it be an outdoor concert in the park or with your own portable speaker, swinging between the trees is the best way to enjoy music together. Trek Light Gear has put together some perfect playlists for you with the Hammock Radio series, or make your own! To make your gift giving as easy as possible, Trek Light Gear has created the perfect little bundle for you. The Hammock Lover's Gift Bundle includes a Double Hammock (perfect for two), a go-anywhere hanging kit, two beer huggers (because beer is better in a hammock), an adorable handmade card (to surely melt your significant other’s heart), and a pair of stickers to rep your new favorite hobby together. The world's greatest gift will not only be meaningful, but will offer a lifetime of experiences and memories (especially with their Lifetime Warranty and Happiness Guarantee on all hammocks). Plus, two trees will be planted for every bundle purchased! After all, "all you need is love and a hammock."